It has long been assumed that the language of Roman poetry was constructed under the dictates of elaborately defined rules of rhetoric, and its content determined according to the system of comparable classifications called invention. This belief has persisted in spite of the difficulty of fitting the works of Catullus, Horace, Virgil, Propertius, and Tibullus into such a rigid scheme. 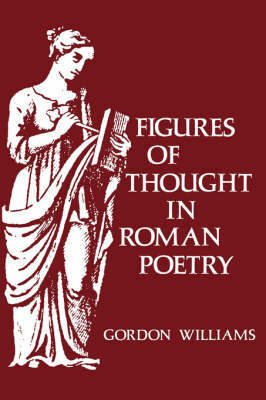 In this book Gordon Williams demonstrates that, although Ovid and his successors did indeed assimilate their poetry to the rhetorical rules devised for prose, the earlier poets employed a quite different method. Williams sees this method as falling into either a metaphorical or metonymic mode, both of which permitted the poet "to say one thing and mean another." Delicate and often startling transitions of thought could be grasped-though not necessarily on first reading-by readers "assumed by the poet to have a special access to the poet's process of thought." This access presupposed similarities of "education, social position, and sympathetic understanding." Through close analyses of many poems, Williams shows how poets in the fifty years before Horace's death exploited metaphor, metonymy, and a third device that he calls thematic anticipation to evoke subtle associations of thought. In doing so he elucidates problems of Latin poems that have been generally misunderstood almost since they day they were written.